There is cautious optimism worldwide in the future demand for valves, owing to investment in major industries, such as mining and oil and gas, as well as related infrastructure, which has resulted in growth in the valves industry this year. Industry players are hoping that this upward trajectory will continue over the next three to five years, says online valves sales platform Valve- Connect operations director Adam Pearce. He tells Mining Weekly that, as valves are a fundamental component of every industrial process, much optimism in the current growth of the industry is being expressed. “Average order books have been increasing for valve companies over the last year by roughly 2%. General industrial investment has grown by a simi-lar percentage over the last 12 months.” Pearce adds that greater industrial production requires new machinery and processes, for which valves are integral. ValveConnect’s online platform connects end-users with valves manufacturers and stockists worldwide and allows them to source the valves they need on an ex-stock basis from anywhere in the world, at any time. In addition, registered sellers on the platform can form their own cloud-based Intranet to share with or restrict access to inventory lists, with no excessive information technology security costs incurred. ValveConnect estimates the stockholding of completed valves and ancillary parts at more than $10-billion worldwide. Having just launched the service in May, there are already more than 5 000 valves available on the site, with more being added weekly. These range from complete valves to partly built valves, as well as valve spares and parts. 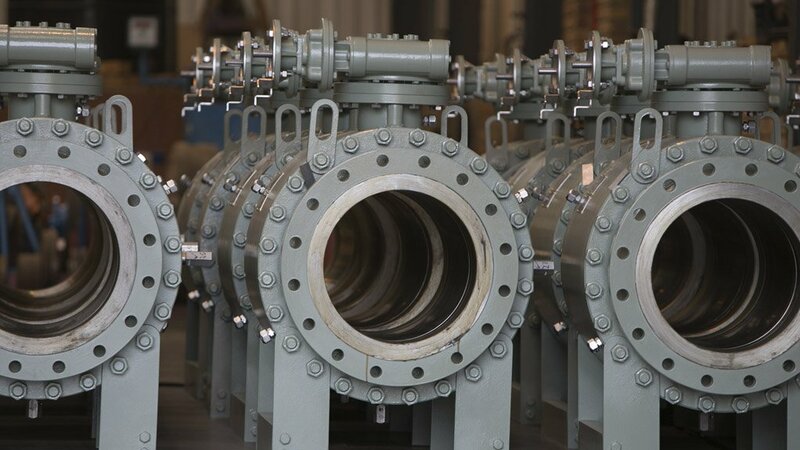 Long lead times are the norm in the valves industry, yet ValveConnect maintains that, despite the complexity of valve equipment, there is an option available in terms of the valves manufacturer, the type or material for “99% of all applications”. The online platform affords end-users the opportunity to explore and access those options directly for themselves. ValveConnect explains that most end-users looking for a certain type of valve will now be able to source it immediately on the website. 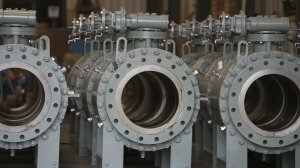 A valve is generally “the last piece in the jigsaw of any plant or application, but, in absolute cost terms, not having a valve available when you need it is a major issue when faced with the expense associated with a prolonged shutdown or a delay in the operation of pipelines and systems throughout the world”. The valves industry has been affected more than most by globalisation, with the sector dominated by a handful of multi- national manufacturing companies that have pursued an aggressive acquisition policy over the past 25 years, Pearce explains. However, the industry also still has a preponderance of medium- sized companies in both manu- facturing and distribution, increasingly concentrating on niche areas such as marine, cr ogenic applications and power generation. However, through the recession of the last six or seven years, many valve companies struggled to remain competitive, money was tight and most looked to cut their workforce or in-house spending. According to Pearce, this has contributed significantly to the lack of training by most companies over this period. This trend presents a problem because the valves industry is heavily reliant on a mature workforce and has been unable to recruit or train a younger generation to replace the experienced employees near retirement. For example, recent research from the American Valve Manu-facturers Association shows that over 20% of the workforce age in the US in 2015 was 55 years or older. This percentage is up over 7% in just ten years. “That shocking statistic makes it imperative that companies harvest the knowledge from these older employees and share it with their younger employees before it is lost for good,” avers Pearce. Further, the skills deficit among young people entering the engineering industry in general is attributable to a lack of qualifications, specifically maths and science, making training even more imperative, he says. To mitigate the skills gap challenge, ValveConnect suggests that developments in the use of technology are vital if the industry is to make more effective use of its staff and resources. The manufacturing and supply of a new valve could take up to 24 weeks, depending on the specifications involved. In an industry with high levels of inventory worldwide, Pearce questions why this is necessary if such a valve is already available on the ValveConnect platform. The time and monetary benefits to manufacturers or suppliers are vast, but the environmental impact of surplus inventory or the production of unnecessary duplicate products is equally vast. “Using technology like ValveConnect will not only increase customer satisfaction rates but also free up scarce resources within valves companies everywhere to address the challenges ahead,” Pearce concludes.